Perfect for vegans, celiacs, and those with other digestive ailments, these spicy tofu burgers are a lighter choice than a regular burger and are protein-rich, full of fibre and contain no meat. Unless you’re in a fancy restaurant, finding a good tofu burger which isn’t sloppy is very hard to come by. So making your own is always a safe choice – especially because it’s a hell of a lot cheaper and a whole lot more satisfying. Some people enjoy their tofu burgers with a homemade barbecue sauce, but I always find these are too sweet and sticky for something that’s already packed with flavour. Instead, I add sautéed onions to highlight the taste rather than mask it. I’m not a vegetarian or a vegan, but I love making these tofu burgers because they’re chewy, yummy and full of flavour which is normally overpowered by over-processed meats. 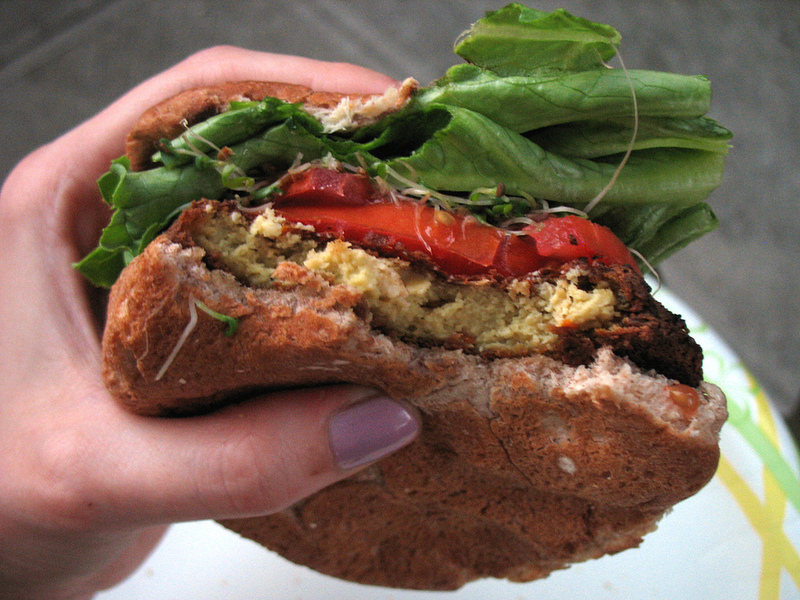 So give this delicious vegan tofu burger and never miss meat again! Heat half of the oil in a frying pan and brown the tofu for 20-25 minutes. Sautee the onions in the remaining oil in a separate pan and fry for 4-5 minutes. Stir in the cumin, turmeric and fry for a further 2 minutes. 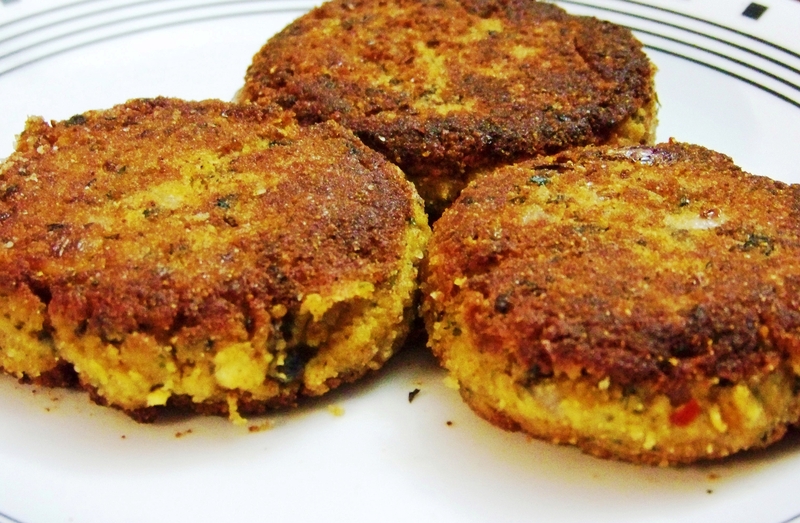 Pop the tofu onto gluten-free flatbreads or pitta breads and decorate the patties with the spicy onion mix. You can also give these other meat-free burger recipes a go: Tofu Burger, Lentil Burger, Black Bean Burger, Beetroot Burger & Broccoli Burger! Fantastic recipes, thanks so much!